In response to my indecision about how to face a particular challenge in my career, an old friend of mine once suggested, “it’s better to be on the bus than on the road!” I took that to mean that it is better to be a part of the change than simply allow it to ‘run over’ me and be overwhelmed by it all. 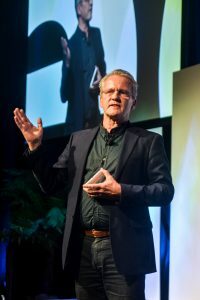 An unfortunate consequence of the current state of relentless, exponential change, both locally and globally, means many of us feel we’re ‘on the road’ at times, simply watching everything pass us by and feeling helpless in what to do about it. Being ‘on the bus’ holds much more appeal for me than being on the road – for a start, from the bus you get a different perspective of the challenges you face. You get to see more of the other things going on – from the various sights you’re passing to a view of the horizon. In addition, you do all of this with others – realising that you’re not alone in facing these challenges and that together, you’re in a better place to both appreciate the good and to find solutions. 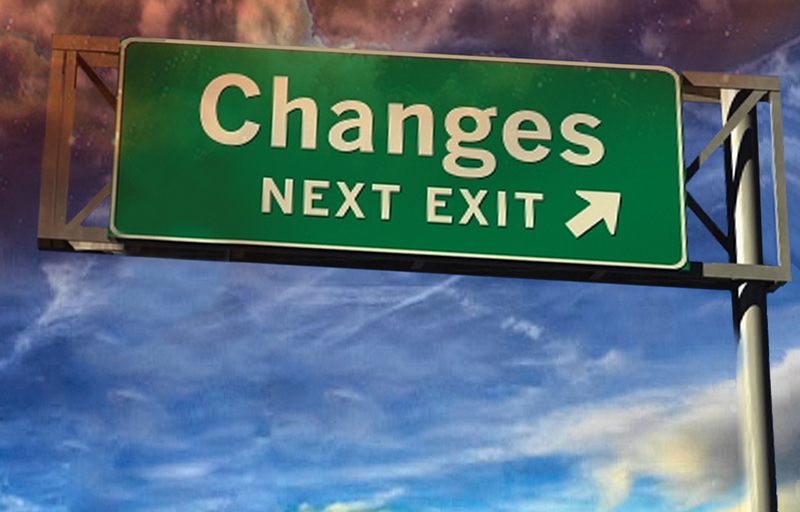 In times of accelerating change it’s easy to fall victim to a ‘stable state’ mentality, thinking that if we simply wait a while everything may return to a state of ‘normal’ again. In a world where developments in technology, climate change, threats of war and political uncertainty all contribute to feelings of anxiety and indecision, it is more important than ever before that, as educators, and as responsible citizens of the world, we need to understand a return to ‘the stable state’ isn’t a likely scenario. We need to see ourselves as being ‘on the bus’, engaging our collaborative and critical thinking capabilities to help us make sense of it all, and to find solutions to the challenges we face. 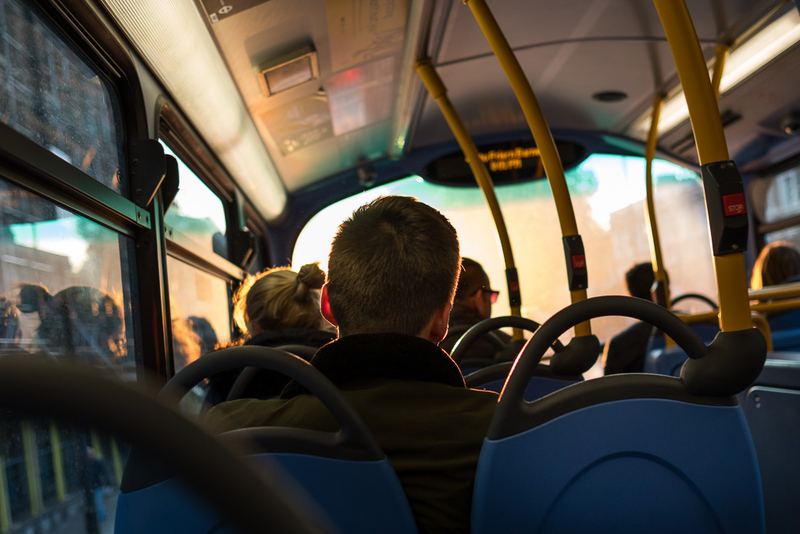 Being ‘on the bus’ doesn’t imply a physical place to be – it’s a mindset. It involves resilience, fore-sight and critical thinking. 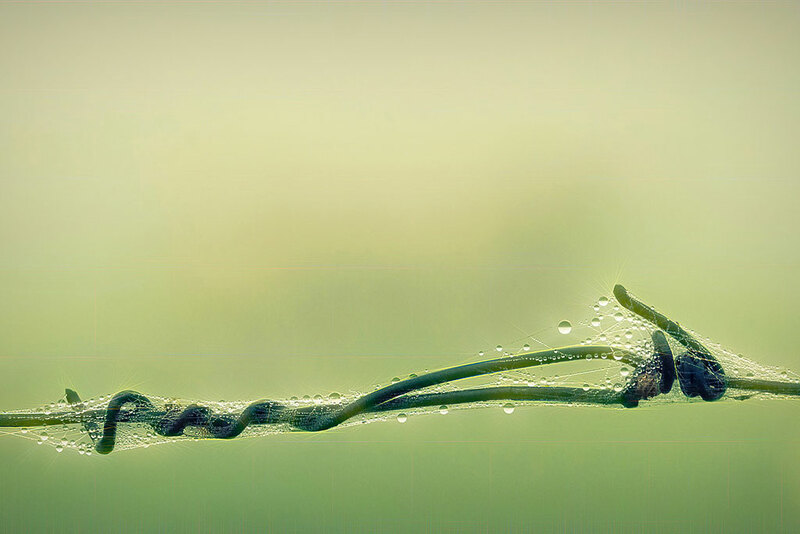 Resilience because we need strategies that will allow us to cope with the feelings of uncertainty and threats to our personal comfort and security. Fore-sight because we need to be able to see beyond the present and be aware of what is on the horizon, and of the actions that are likely to make these things a reality. And critical thinking because we are living in a ‘post truth’ world, where what we are being exposed to through the media and other channels, requires us to be able to exercise the ability to critically examine and evaluate the factual evidence to form views and change our behaviours based on that. Fundamental to this is ensuring we are well informed, that we have access to the information required, and that we view it from multiple perspectives. It doesn’t require too much searching in the popular media to find that for every opinion claiming a certain ‘truth’ or certainty, there is an equal and opposite point of view. Our view of foresight shouldn’t be based simply on what the latest guru or ‘influencer’ tells us we should believe. Our response requires us to draw on our ability to delve beneath the headlines and their simplistic message. We must take a critical stance that weighs multiple perspectives and tackles issues of complexity with an appropriate response. There’s another benefit of being ‘on the bus’ – we are with other people. This is critically important, as our journey into the future must increasingly be regarded as a collaborative one, not something we’re left on our own to contend with. The strength of the collaborative group is that we’re able to debate and discern things as a collective – to challenge the status quo and at the same time, be there for each other as the change impacts us differently. Of course, this will work best if our ‘team’ doesn’t consist solely of like-minded individuals forming a sort of ‘echo chamber’ that reflects simply what we want to hear and what we feel comfortable with. Authentic change will require us to learn to work collaboratively in settings where we feel uncomfortable, and where a part of the solution will lie in being able to resolve differences and work through multiple perspectives. Engaging with resources such as CORE’s Ten Trends provides a useful way of starting this journey. They have been developed with the intention of providing information about some of the things that are currently challenging educators and the contexts they work in, providing some insights into the things that are driving these changes and offering prompts to begin the process of reflection and action at the local level. Importantly, the trends link back to a central core of five key themes that apply across the whole of society, so that these changes and their impact can be seen in a wider context than simply education. My challenge to readers of this blog is to use the Ten Trends as a way of ‘getting on the bus’, to understand more of the things that are impacting the work we do, and combine with others to critically engage in forming a response that is appropriate in the contexts in which you work, in particular, a response that will ensure you are preparing the learners you are working with for their future, not just as ‘workers’ but as citizens who themselves will be able to influence and shape what happens in this world we all inhabit. CORE’s Ten Trends 2019 have just been released. Read them online or download the document now! For most teachers, the beginning of a school year is an opportunity to look ahead with fresh eyes, thinking of our students and how best we can nurture and grow them as learners. In our schools, kura, and early years settings, there’ll be lots of activity around preparing the themes, topics, and resources required to inspire creative minds, not to mention the physical arrangement of the learning environments, scheduling of time, and allocation of tasks that will enable all of this to happen. The latter can be a challenging, and often uncomfortable, experience. How often do we hear “We live in exponential times!” to explain the constant pressure to change, and as an expression of the challenges ahead? But what does this really mean? And what are the implications for us as educators? 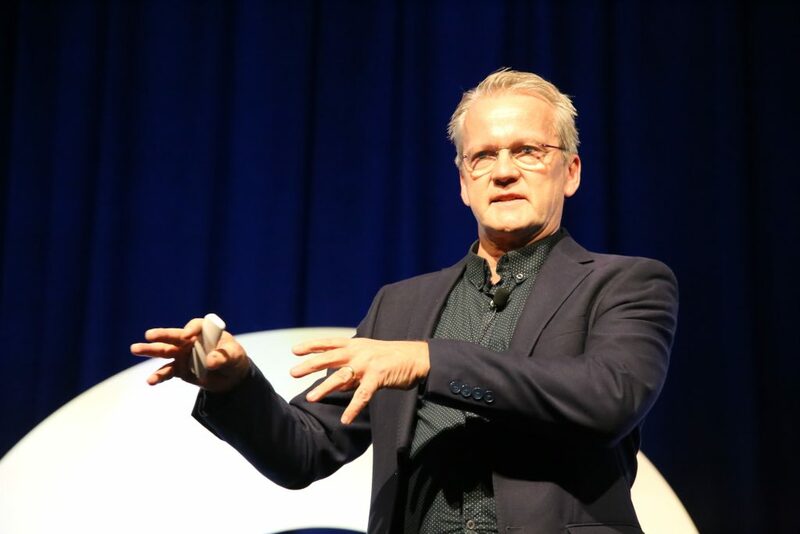 Wherever we look nowadays there seems to be another conference with keynote speakers professing to give a glimpse of the future — featuring examples of science fiction-type technological advances that are now becoming a reality. Whether it’s the prospect of flying cars, robots taking our jobs, or virtual reality providing places to hide from the real world, some find themselves endlessly fascinated with these ‘miracles’ of modern technology. For many, however, it can lead to feelings of being overwhelmed and ‘powerless’ when these things challenge and even threaten the very basis of our established norms and practices. The simple truth is that we are facing times of unprecedented change, with lots of it happening as a consequence of technology, and all of it impacting significantly on the ways we live, work, communicate, and spend our leisure time. 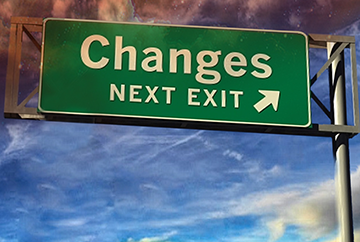 Much of this change is ‘unpredictable’, being the unintended consequence of some sort of intervention – all of which adds to the dilemma of how we respond, both individually and collectively. The concept of schooling has always been premised on preparing young people for life in the adult world — as contributors to the “economic engine” that underpins modern society. Our current education system, which emerged in the middle of the 19th century and was designed to serve the needs of the Industrial Revolution, is facing significant stress. There is an increasing perception that our education system is failing to meet the needs of modern society, leading to a plethora of ‘school reform’ movements across the world. Today, education has to be about learning to thrive in a transforming world. The statement above should be printed across the doorway of all of our staffrooms and on the cover of all of our planning documents as we look ahead to 2018. We need to be asking ourselves what we can do to enable each and every child, whatever their starting point, to flourish and lead fulfilling lives and to become responsible and active members of society. We also need to be open to exploring together what is the role of education in creating a fairer society. 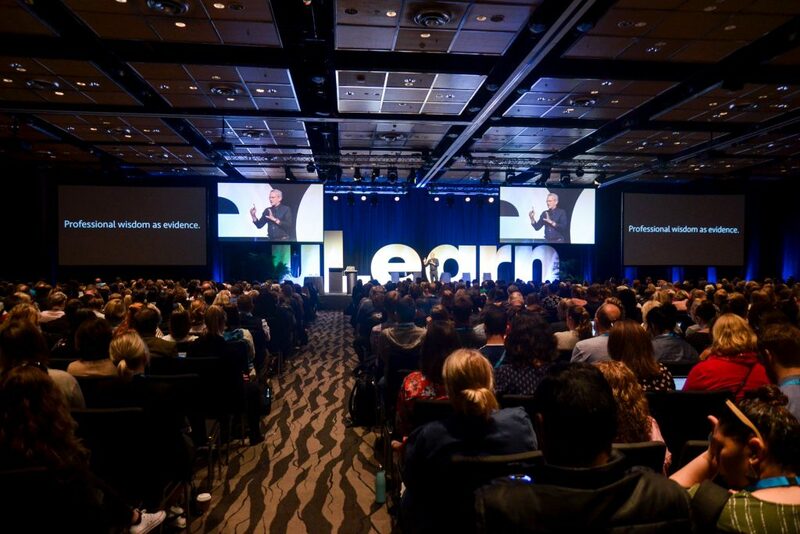 We must do more to shift from a system that has been predominantly focused on ‘front-loading’ learners with the knowledge and skills required to function productively in future society, to one that recognises change as the constant and prepares learners, of all ages, with the strategies and capabilities to cope with and feel empowered within this world of change. Our school curriculum and the pedagogical approaches we use must inspire and motivate our young learners to develop the kinds of capabilities that are key to leading successful lives. This includes things such as creativity, critical thinking, problem solving, collaboration, and communication. How are the key competencies in the national curriculum really addressed in what happens on a day-to-day basis in your classroom and across your school? 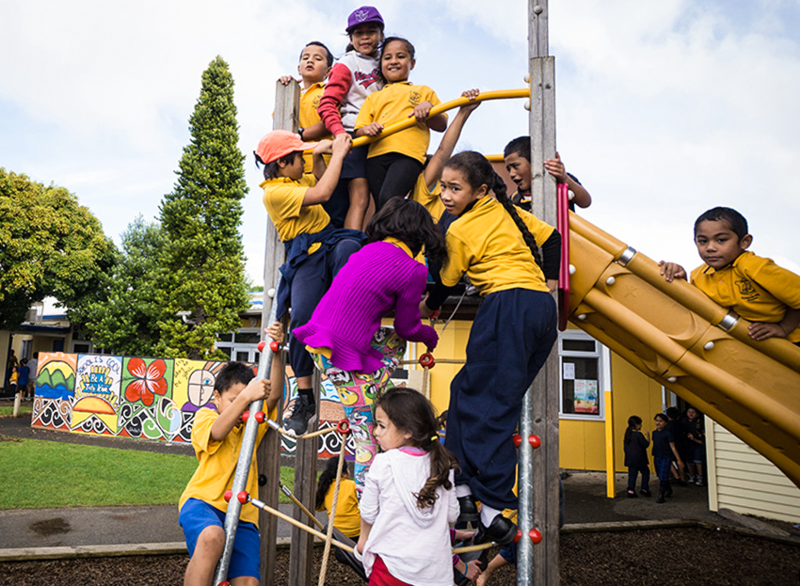 To what extent do your students and parents/whānau regard the development of key competencies as a priority? What is the evidence you look for and gather to ensure these are being developed? It is now widely acknowledged that learning occurs across diverse contexts and throughout our lifetimes – not only at school! We know that learners accumulate knowledge, skills, and competencies in formal and non-formal settings, and understand that, without regular maintenance, some knowledge and/or skills may depreciate with time. As a consequence, we need to ensure the focus of our education system is on learning (i.e., ‘how’ we learn), and less on the content (i.e., ‘what’ we learn). We need to foster the development of a learning disposition that will ensure the learner is able to engage with and learn about new ideas, new skills, and new thinking as required throughout their life. How might you build a ‘language of learning’ among your students, staff, and community, where these capabilities are prioritised and reinforced through the learning endeavour? 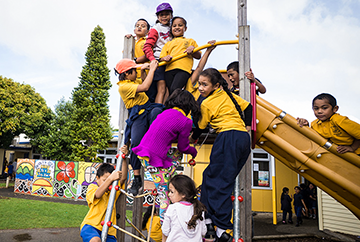 How do you recognise and acknowledge learning that occurs beyond the school boundary – in clubs and after-school groups, across all domains – cultural, sporting, academic etc.? How are you and your colleagues demonstrating a learning disposition in your personal and professional life, and what is the evidence of this learning on your approach to the work you do? The percentage of children who struggle to engage with education for a range of reasons, often connected with poverty, is well documented. The task of addressing the broad range of learners’ needs in our modern society cannot be addressed by schools alone. There is a clear recognition that unless the difficult questions about how to improve outcomes for learners and their families are tackled, the aspiration to build a more equal society cannot be achieved. What opportunities do you create for multi-generational learning to occur in your context – i.e., adults in the classroom, evening classes, project-based mentors etc.? What use do you make of community resources and contexts for learning? What about access to community expertise? Is this reciprocated in any way? How are you embracing the richness of diverse cultural backgrounds represented in your ‘village’ — how are different groups learning from each other in this way? How might you initiate or cultivate a learning focus in areas of your community other than school – e.g., within local libraries, local clubs, and service organisations, health centres etc.? Let’s make 2018 a year when we focus more intentionally and explicitly on the development of key competencies/capabilities.